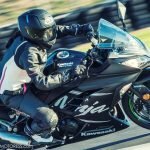 Kawasaki has changed the game on rider fit and comfort. The new Kawasaki Vulcan S (S for “Sport”) 650 with ABS has over eighteen “Ergo-Fit” options all intended to fit you into the bike before you ride away! The fitting is done at the time you purchase the bike within the Kawasaki “Ergo-Fit” shop. Imagine now the confidence and complete comfort you’ll have the very first time you ride your new Kawasaki Vulcan S – control right from the first kilometre. 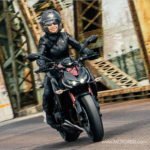 For most new riders, and many women motorcycle riders –the feeling of not fitting, not feeling in control on a motorcycle is intimidating. Far too often new riders are told by sales staff that – they’ll “grow into the bike”. Well, this couldn’t be further from reality. Skills may improve (grow) over the years as to managing the motorcycle operation, yet our length and the reach of our arms won’t change! Kawasaki engineers wanted to build a motorcycle for those seeking to join the motorcycling world. 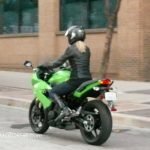 They weren’t looking at sport bike style because Kawasaki already has the Ninja models. When Kawasaki put the question out there to new and want to be riders, the replies were loud and clear – fit, comfort and confidence in riding. 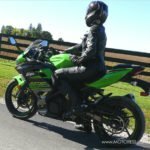 Armed with this new info they set out to meet those desires and succeeded with the new styled Kawasaki Vulcan S.
Three adjustable foot peg positions. In all my years of riding this was my first ever, though not too unlike setting up my race bike during my years of competitive road racing – I’d experienced a street ride “fitting”! Talk about personal care. I really felt catered to and enjoyed the personal and uniqueness of the experience. We determined that I was the “mid” reach fit. Later on, and just before hitting the Santa Barbara streets for my ride review, we adjusted my shift lever a little more to fit my foot toe reach. The “Ergo-Fit” shop is a component of the Vulcan S and will be set up at your authorized dealer. Unlike most pricey “customizations” most cruiser type motorcycles get when our budgets allow. The Kawasaki “Ergo-Fit’s” are included with the Vulcan S at time of purchase. The Vulcan S is based on the Ninja 649cc parallel twin-engine. Its digital fuel injection liquid cooled and specific tuning give the engine its smoothness. This is a big advantage for new riders still finessing the power transitions either at high or low speeds. There’s also a positive neutral finder making it easier to find neutral when stopped. What also impressed me were its power and high revving smoothness and the long-range of power each gear possessed. I found that I could keep the bike in fifth gear rather than sixth for higher cornering speed control without power discrimination’s. As said earlier, the “S” in the Vulcan name stands for “sport” and this is exactly how the Vulcan S responded! The design is unlike any Vulcan produced in Kawasaki’s thirty year history of the model. Its long and low sport bike bred chassis is slim which also gives the Vulcan S its lightweight feel (just 459 lbs/226 kgs). Its finishes defy cruiser as seen in the tucked under exhaust muffler intentionally chosen to stay out of the way for more lean into the corners. The forward placed inline parallel twin-engine (versus V-Twin) opens up the cockpit. This feature overcomes the wider stance normally needed with many cruiser style motorcycles. It’s also worth noting that the Vulcan S design makes gripping the tank with the inside of your knees possible. This is a sport bike handling technique and on other cruiser models there’s just too much exposed engine to do so. My ride experience was relaxed, agile and more to that of a sport bike but that just may have been my style. I later shared this with the Vulcan S engineer Mano-san during our meeting. I explained to him that while taking it through the sharp turns of the Californian coastal hillside, the Vulcan S seemed to morph into sport bike performance. Power through all gear transitions, fabulous sturdy leans into the corners and smooth high rev transitions. He smiled, nodded and said “thank-you”. That was what he intended to achieve. Anti-Chrome: Blackened frame mirrors, exhaust and tank ignition cover further sets the Vulcan S apart and making it seem sportier. ABS: With the ABS (anti-lock braking technology) braking to stop quickly provides a new rider with added confidence. There’s a single disc with twin piston calliper for the front and double disc twin piston for rear, the braking happens smooth and without effort. *Note: US Vulcan S offers optional ABS however, in Canada its standard. Colours: There are three colour choices: Flat Ebony, Candy Lime Green and Pearl Crystal White. A Metallic Royal Purple is available for Canada only. Compact Easy-To-Read Instrument Panel: The tachometer is simple and clear to view. You’re not missing any key data here with a display showing your speed, fuel level, and average and instant fuel economy plus warning lights. And there are two trip meters for mileage tracking. Easy Adjustable Clutch and Brake Levers: These both are five-way adjustable to finger reach or preference for any hand. Both levers are light and easy to operate. Lighting: The unique, strawberry like shaped headlamp adds special style to the front of the bike. LED lighting technology for tail lights a big advantage for visibility. The clear signal light lenses bring a brighter communication to the road around. Wide Rubber Mounted Handlebar: This offers a broad turning radius ideal for tight turns within small spaces of the inner city. And being rubber mounted means reduced vibration to the rider. The Vulcan S comes as a solo seated ride. This makes perfect sense as new riders need practise before carrying cargo or a passenger. But when you’re ready to take a passenger you can purchase a passenger seat and foot peg set. And for cargo, the solo fender mounted rack or a set of quick release saddlebags. 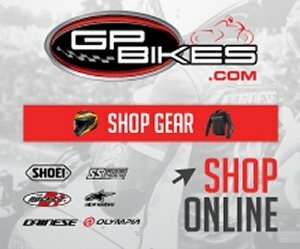 Motorcycle Gear – a range of Vulcan S inspired technical riding jackets to complete your ride comfort. In Canada the Vulcan S suggested retail is CAD7999. and comes standard with ABS. You’ll not have to “skill up” to the Kawasaki Vulcan S with ABS or its handling. It’s tailored “Ergo-Fit” brings a sense of confidence from the first mile (kilometre). Knowing you can reach the ground, the levers and the controls as well as confidently balance a motorcycle that’s easy to operate is incredibly satisfying. The fun begins right from the first mile! It’s combo of cruiser and sport bike ability and style, satisfies the rider who wants the diversity both ride styles offer. It’s perfect for a long distance holiday tour, urban commuting or tackling the curves through the twists of north-east Santa Barbara’s hillside corners. Cruising or spirited switch back corners – the Vulcan S never let me down. It responded fully when I demanded – accelerating or braking hard where even the ABS performed as expected. The fit selected for me was perfect (outside of a rear shock adjustment later due to the speed/handling in the corners) as was further underlined at the end of a full day’s ride. I had no stressed feelings or aches whatsoever. This is often the case for example, in my legs from being cramped or extended as well as arms/elbows from extended reach. The seat was particularly comfortable giving a “stay put” feeling particular when riding through the fast left to right corners. 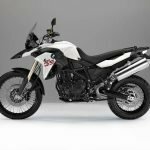 One size may fit all for some things, but that concept has yet to work for riders wanting a motorcycle which fits and feels right. The game has changed thanks to the Vulcan S – it really is the motorcycle that grows to fit you. Find a Kawasaki Dealer Near You! It’s best to have your Vulcan S “Ergo-Fitting” done with your riding gear on. The slightest increase and positioning of your feet in riding boots, or say your sit position with the added width riding pants creates can deter from exact measure results. I would suggest the windscreen for those taking longer trips at higher free-way speeds to reduce potential wind buffeting discomfort. There are two sizes to choose from for your height but also the smaller size if you don’t want that big wind-shield look. I purchased this bike in 2015 and absolutely love it! it is shorter in length and the height – well this is my 4th bike and the only one that my feet touch the ground! it is also much lighter than my others however, it is so much quicker than the bigger bikes. The ride is incredible and the quickness around curves is great. All in all it is an awesome bike. I got it in the white and my husband customized all the extras I needed like the engine guards and floor boards, etc. We understand, all Vulcan S moto’s are being sold with the ergo fit. When we did our test ride (VGRAY) tried different ergo fit adjustments..lower seat, foot pegs etc. Conclusion was that all resulted in amazing fit. Just be sure to call the dealership ahead of time. If not Kawasaki USA will point you in the right direction. You can inquire on their Facebook page. Have fun! Amazing bike and performance! Share your pic if you end up getting one of your own. I’m 5’2 my bikes have to be lowered in order to have both feet on the ground. It would be nice to find one already low enough to ride. How can I make sure I purchase one where they have an ergo-fit station? live in Central California This is a fabulous idea. Cant wait to ride one. So everything on paper for this bike looks amazing! The reviews have been favorable, and truly loving the idea of ergo-fit, but there is a difference between siting on a stationary bike and riding a bike even for as little as 30 minutes. Also not all dealers have ergo-fit stations or the room for them. So my question is if I buy a Vulcan S and find the fit is just not right within a reasonable time can i go back and swap out the seat for or handlebars for example or will it cost me money to do so? Don’t mention it Frank. It was super fun sharing the features of the Vulcan S. You will enjoy it IMMENSELY! Let me know when you’ve picked it up. thanks for talking with me at the Toronto bike show Vicki. You helped me make my mind up. The 2015 Kawasaki Vulcan S is the bike for me. This is the bike I wanna buy this year!